Aric Almirola started 25thand finished second to earn nine bonus points. Almirola climbed 24 positions in the No. 10 Smithfield Ford Fusion in Stage 1. Crew chief Johnny Klausmier told the team that the Smithfield Ford was the quickest car on the track by two-tenths of a second. The No. 10 pitted at the conclusion of the stage for four tires and fuel. Started sixth and finished third to earn eight bonus points. Almirola fell to sixth place after the pit stop in Stage 1 but regained the top-five by lap 138, joining teammates Kurt Busch and Clint Bowyer. During the closing laps of Stage 2, Almirola made a clean pass on Busch for the third position and finished behind Bowyer. He noted loose-handling conditions on entry, tight to the middle and loose to the exit of the turns. The Smithfield Ford Fusion took four fresh tires, fuel and chassis adjustments at the end of the stage. Started fourth and finished 17th. Almirola continued to battle handing issues but held the Smithfield Ford inside the top-10. On lap 328 he pitted under green-flag conditions for four tires and fuel. He was scored in the ninth position when green-flag pit stops cycled through. After a lap-370 caution Almirola restarted in the ninth position, but he was caught in four-wide traffic and fell outside of the top-10. 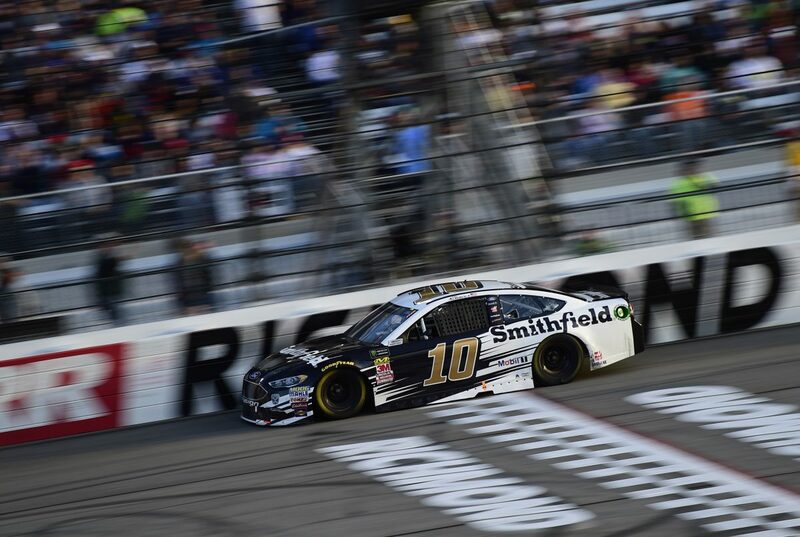 During the final restart with three laps to go, Almirola battled to keep his Smithfield Ford in and around the top-15 but did not have enough laps to climb back through the field. Almirola earned a total of 17 bonus points. There were six caution periods for a total of 46 laps. Kyle Busch won the Richmond 400 to score his 46thcareer Cup Series victory, his third of the season and his fifth at Richmond. His margin of victory over second-place Chase Elliot was .511 of a second. The next event on the Monster Energy NASCAR Cup Series schedule is the Geico 500 on Sunday, April 29 at Talladega (Ala.) Superspeedway. The race starts at 2 p.m. EDT with live coverage provided by FOX TV, MRN and SiriusXM Radio.